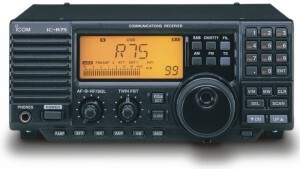 The IC-R75 is one of the most popular tabletop receivers in production. Frequency stability – Less than ±7 ppm from 1 min. to 60 min. after power on. After that rate of stability less than ±1 ppm/hr. at +25°C (+77°F). Temperature fluctuations 0°C to +50°C (+32°F to +122°F) less than ±5 ppm. 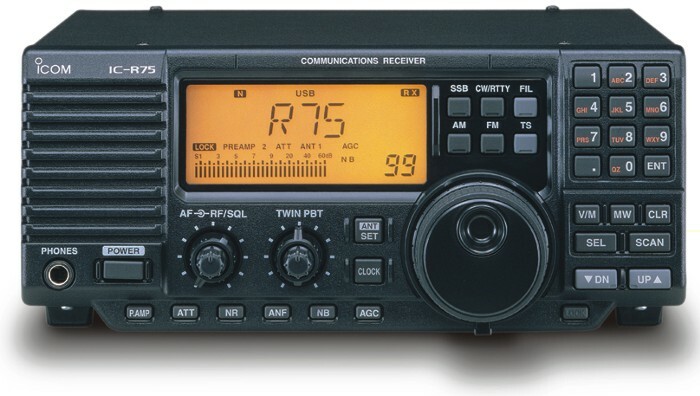 This entry was posted in Icom, Tabletops and tagged IC-R75, Icom, Icom IC-R75. Bookmark the permalink.